Warren Wright started Coaching Millennials in response to an overwhelming demand by companies to help hire and manage Millennials. For 5-years, he partnered with economist and historian Neil Howe, the best-selling author on today’s generations, who gave Millennials their name. Working with Howe underscored the power of generations in today’s society, and their ability to to shape culture, society, and workplaces in their own image. Yet too few people recognize this influence. Recognizing this disconnect, Warren seeks to educate, teach, and coach leaders about Millennials and all generations. He consults and speaks frequently on the influence of the Millennial generation.Warren has been solving problems for clients for over 25 years with a who’s who of top performing organizations: U.S. Army, Navy SEALs, World Bank, World Economic Forum, Knight Foundation, FEMA, Proctor & Gamble, Chubb Insurance, and American Airlines to name a few. He spent 10-years at Gallup, leading innovation projects that combined the disciplines of psychology, sociology, economics, and statistics to achieve new insights for strategic decision making, including the largest polling project ever conducted on the Iraqi citizens during the Iraq war. Before Gallup, Warren was a principal and co-founder at the internet start up, Jobfinder.com, which was sold in 2000. Before Jobfinder, Warren was in radio and television advertising sales. Warren continues to work with Howe as a senior advisor to LifeCourse Associates, and Saeculum Research, while Howe is a senior advisor for Coaching Millennials. Wright graduated with a BS from Franklin & Marshall College and an MBA from the University of Nebraska. He lives in the Washington DC area and is the father of two adult Millennials. 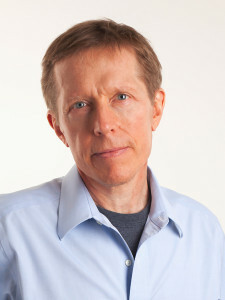 Neil Howe is a renowned authority on generations and social change in America. An acclaimed author and speaker, he is the nation’s leading thinker on today’s generations—who they are, what motivates them, and how they will shape America’s future.Howe is founder and president of the consulting firm LifeCourse Associates, where he develops and implements cutting-edge research, analysis, and consulting services to help clients understand how generations impact marketing, workforce issues, and strategic planning. LifeCourse has served hundreds of corporate, nonprofit, and government clients.A historian, economist, and demographer, Howe is also a recognized authority on global aging, long-term fiscal policy, and migration. 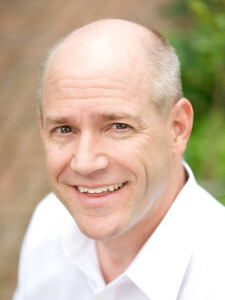 He is a senior associate to the Center for Strategic and International Studies (CSIS) in Washington, D.C., where he helps direct the CSIS Global Aging Initiative.Howe is a bestselling author who has written over a dozen books on generations, demographic change, and fiscal policy, many of them with William Strauss. Howe and Strauss’ first book, Generations (1991) is a history of America told as a sequence of generational biographies. Generations, said Newsweek, is “a provocative, erudite, and engaging analysis of the rhythms of American life.” Vice President Al Gore called it “the most stimulating book on American history that I have ever read” and sent a copy to every member of Congress. Newt Gingrich called it “an intellectual tour de force.” Of their book, The Fourth Turning (1997), Dan Yankelovich said, “Immensely stimulating…We will never be able to think about history in the same way.” The Boston Globe wrote, “If Howe and Strauss are right, they will take their place among the great American prophets.”Howe and Strauss originally coined the term “Millennial Generation” in 1991, and wrote the pioneering book on this generation, Millennials Rising, in 2000. Neil has since released several application books on Millennials—including a Recruiting Millennials Handbook for the United States Army (2001), Millennials Go To College (2003, 2007), Millennials and the Pop Culture (2005), Millennials and K-12 Schools (2008), and Millennials in the Workplace (2010). Howe’s work on the Millennial Generation has been featured frequently in the media, including USA Today, CNN, the New York Times, and CBS’ 60 Minutes.Previously, with Peter G. Peterson, Howe coauthored On Borrowed Time (1989; reissued 2004), a pioneering call for budgetary reform. He coauthors numerous studies for CSIS (including the Global Aging Initiative’s Aging Vulnerability Index and The Graying of the Middle Kingdom: The Economics and Demographics of Retirement Policy in China). In 2008, he co-authored The Graying of the Great Powers with Richard Jackson.Howe grew up in California and currently resides in Great Falls, Virginia, close to Washington, DC. He received his B.A. at U.C. Berkeley, studied abroad in France and Germany, and later earned graduate degrees in economics (M.A., 1978) and history (M.Phil., 1979) from Yale University.